→ The New Uzumaki Breakfast!! What a well done edit, or original. Either way very nice. 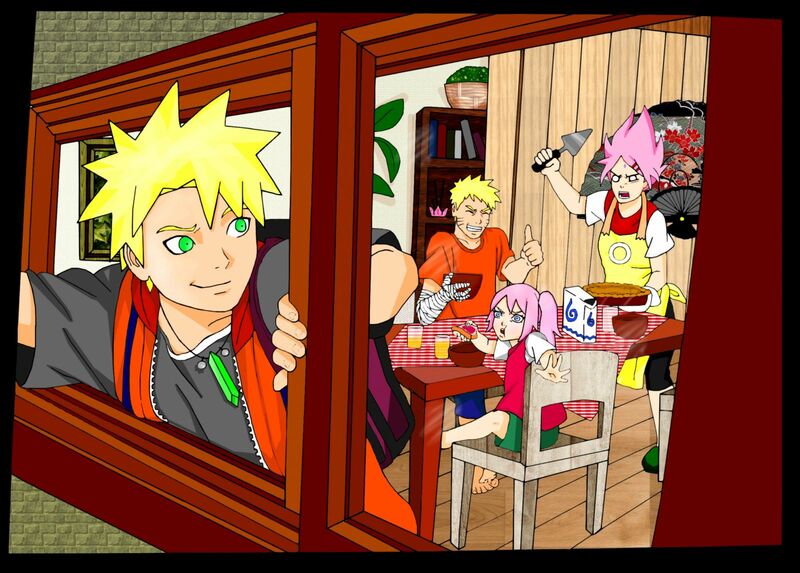 Well at least Naruto looks happy in this one. Lol. Thanks for this. This is how it should be Of course, I also could see Naruto giving a thumbs up as Shinachiku is ready to bounce. Sakura:SHINACHIKU!!! YOU BETTER EAT YOUR DAMN BREAKFAST NOW!!! Naruto: Good work by boy. Hanami: You're in big trouble. Hanami-chan is way better looking than Mopwari.